Ronan Cooperative Brewery - CooperationWorks! What’s a rural town to do when the community wants to revitalize Main Street? Start a consumer-owned cooperative brewery! In western Montana, residents of Ronan, population ~2000, are trying to do just that by starting the first cooperative brewery in the region. 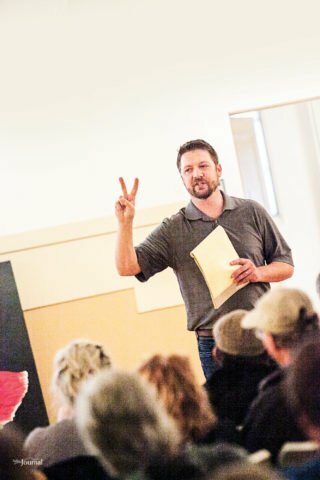 This spring, more than 60 community members attended a public interest meeting to learn more about the craft brewing industry, the cooperative brewery model, and the potential for a brewery in the town. The idea for the Ronan Cooperative Brewery started in 2016 with a community assessment. Community members were asked about the strengths of their town, the challenges the town faced, and their vision for the future of the community. Themes from their responses were shared in a town hall meeting and summarized in a report along with recommendations for addressing each of the challenges provided by a Resource Team from the Montana Economic Development Association. One of the major themes that emerged from the listening sessions was the desire of many residents to see Ronan’s Main Street revitalized. As the population of Ronan has declined, the number of empty store fronts on Main Street has grown. Many businesses have left Main Street for locations along the highway, and many closed during the recession of 2007-2009. Residents also wanted to see business development that supports the agricultural heritage of the community, captures the tourism traffic (and spending) that passes through en route to Glacier and Yellowstone National Parks, and supports value-added, niche market and locally made products. They even suggested a brewery, and the Resource Team agreed that an anchor business, like a brewery, could bolster Main Street. This spring, more than 60 community members attended a public interest meeting to learn more about the craft brewing industry, the cooperative brewery model, and the potential for a brewery in the town. The idea was for the community to own and develop a brewery that will uniquely reflect – and benefit – the community and its needs. The response was overwhelmingly positive, and from that meeting, a group of nine residents formed a steering committee. Development Center for technical assistance, facilitation and resources. 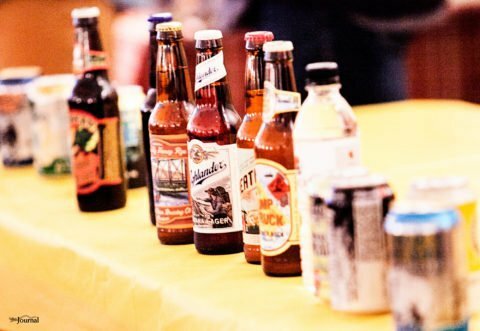 There are only a few cooperative breweries operating in the United States and most are new, so one challenge is that there are limited models to learn from. A brewery is a capital-intensive business to start, so there is a challenge of raising the required capital in a low-income, rural town. Most other cooperative breweries have been in larger cities. However, a craft brewery has the potential profit margins to support the start-up investment costs. In just a few short months, a feasibility study for the brewery cooperative was completed with LCCDC’s support, and the group developed a business plan and membership drive plan and held a naming contest for the future brewery (results TBA). LCCDC also assisted with a market survey and outreach. The group has started assessing potential locations, and they plan to kick off a membership drive this fall and secure a location once capital is in place. By 2018, they hope to be pouring pints, meeting the goal of the brewery to provide economic and community development through a community gathering place — and good beer!